In an age of “Insta Famous” and “Influencer Status”, the rise of the “Leader” is becoming increasingly prominent. We are shifting away from traditionally accepted forms of leadership in the workplace, and seeing social leaders and icons pop up all over the world in the form of motivational speakers, coaches, authors, healers, network market leaders, nutritionists, and anyone who excels in their chosen niche. However, I’m also witnessing an increase in superficial superiority, big egos, and false claims of spirituality. Earlier this year I publicly sought advice from a well known ‘leader’ who, in misunderstanding me, proceeded to humiliate me. Or at least she tried. My question was graciously saved, understood and answered by a fellow leader. But this experience has stayed with me ever since, and it’s not one I’ve yet shared. 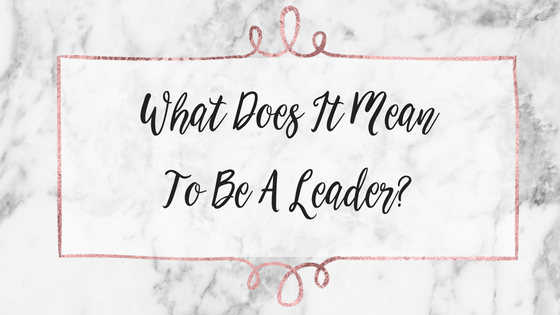 In my own words “our story, is our service”, so in allowing this seed to grow and increase my consciousness and awareness of other leaders around the world, I’m now attempting to answer the question “What Does It Mean To Be A Leader?”. A true Leader continues to be led themselves, either by other experts, leaders, coaches, authors, etc. or by higher forces, spirit guides, Universe etc. A true Leader is never arrogant enough to believe they have all the answers. A true Leader remains curious, always seeking to understand other viewpoints, ideas and opinions. A true Leader never seeks to shut-down another. A true Leader shows compassion and understanding at all times, even when triggered or troubled themselves, they choose to remove selfish ego, and allow Soul to lead for the greatest highest good of all. A true Leader never judges, criticises or patronises. A true Leader recognises the voices of others (the collective) are more important than their own. A true Leader never speaks just for the sake of being seen and heard. A true Leader has a powerful presence that requires no introduction. A true Leader does not need to be heralded as such. A true Leader will always seek to find balance and harmony amongst the collective with maximum ease, grace and flow. A true Leader would never seek selfish gain from their position. A true Leader communicates honestly and openly, encouraging others to do the same. A true Leader does not hold a hidden agenda or withhold truths that would benefit others. A true Leader does the work with everyone else. A true Leader recognises and embraces their responsibility. A true Leader honours their Soul purpose and sees themselves as equal to everyone else. A true Leader is merely a humble servant of the greatest highest good of all. I honestly wish I could credit more, particularly more women, but I’m fairly confident the rise of my Soul Sisters will birth leaders, the likes of which the world has never seen, but the kind of Leader we’re ready for, searching for… coming home for.